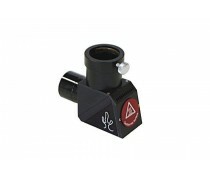 ♦ A few binoculars with 60 to 60 mm front diameter can also be used, but offer only 12x maximum magnification. 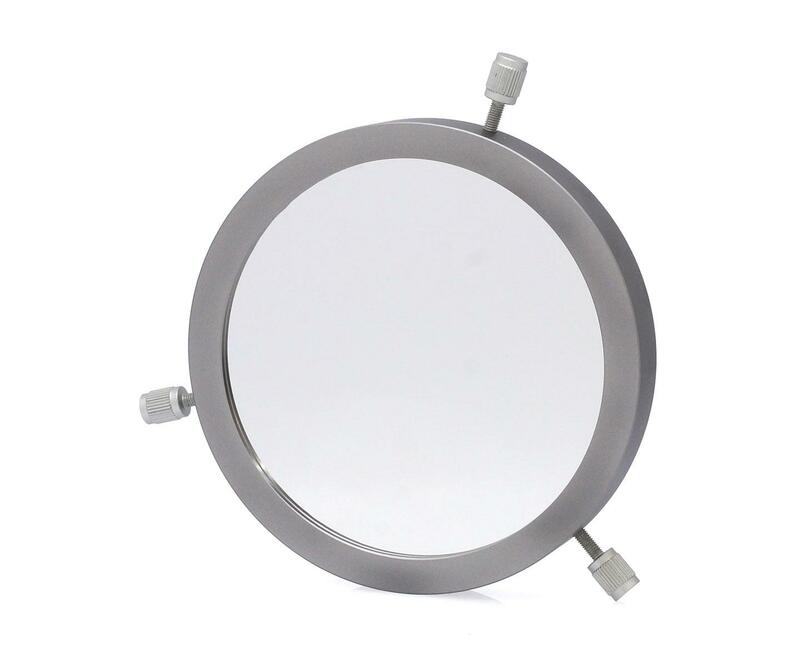 High-quality craftmanship filters with metal cell for safe observation and photography of the sun. The filter is attached to the telescope, spotting scope or telephoto lens through three metal screws with plastic tip. 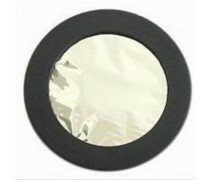 ♦ The filter film is mounted tension-free and, on its back side, protected against scratches during attaching by a ring. 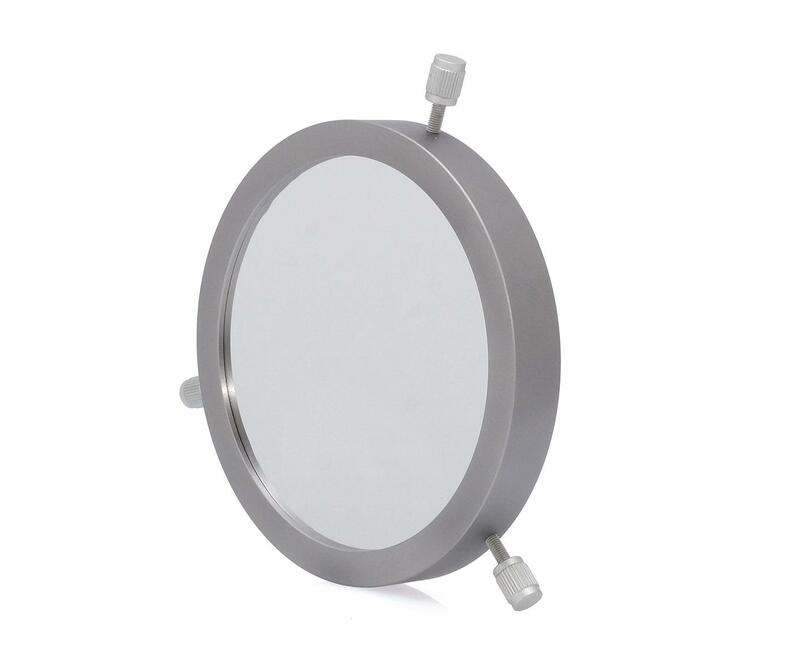 ♦ Temperature changes are no problem, due to the tension-free mounting. ♦ Within the specified tube diameters, clamping is continously possible. 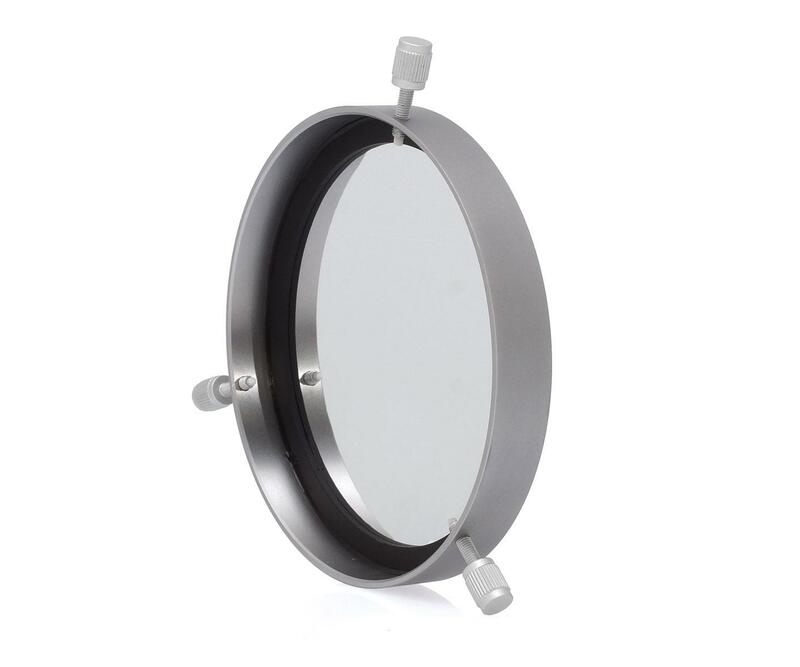 ♦ The filters are placed in front of the optics, effectively preventing radiation from getting in. The sun is dampened to the brightness of the moon. ♦ Optimal UV protection of your eyes which exceeds the protection offered by the single-side coated glass solar filters. Andreas Murner has taken this sunspot image with the photographic Baader film and the Solar Continuum Filter. Imaging instrument was the TS refractor 127/1200 - an achromat according to Fraunhofer. 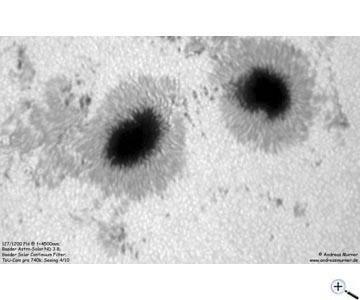 Such high-resolution images can only be taken with a good objective and a good solar filter. There are many photographs of this kind which a made using the Baader filter film.